Notes: I spent the day in Cambridge on a photowalk with some Flickr friends. The sun could not manage to struggle out from behind the clouds, but we made the most of the light we had. 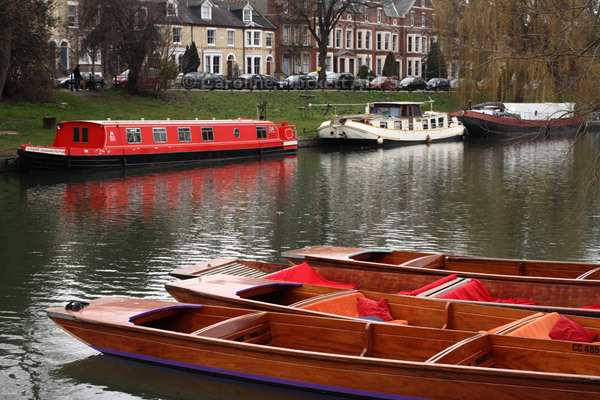 I liked this cheerful splash of red, found on punts and a barge on the river by Jesus Green – a typical Cambridge cliché!